If fuji music were a disease, it would have been a contagious one. You may like it. You may hate it. The fact is that you will always come across it whether at a social occasion, on the radio, or television, or at notoriously lousy music shops that dot every corner of Nigerian cities, especially in the South West part of Nigeria. Thank God it is not a disease, anyway. For commuters too will really tell you that the escape route from the brand that has become one of the most successful traditional musical genres on the continent, is just too lean. After all, the danfo driver and his conductor are ever waiting to hack their (passengers') ears with the music of any of the fuji artistes, from the first bus stop to the last one. Even the music that sprouted from the mosque in the 1960s – especially when it was Were, which was used to wake up Muslims in the month of Ramadan - has found its way into the church. Now, Christian artistes who cannot beat them have joined them, either by outright coming up with Gospel Fuji, or by borrowing its elements so much that you often find it difficult to differentiate it between the gospel or juju that they profess to be singing. Of course, each time a fuji musician farts in a corner of his studio – borrowing a traditional metaphor – the smell provoked has a way of spreading fast and far. Fans and observers, for instance, witnessed how the last quarter of last year was rocked by a supremacy battle that raged among top fuji music players. At the heart of the matter, impressively singing Saheed Osupa had laid claim to the crown of the 'King of Fuji', which has been in the custody of the fuji refining Wasiu Ayinde since the early 1990s. The supremacy battle had, however, yielded a few albums and also dovetailed into the burial of Kollington's mother. A celebration that afforded fuji musicians the opportunity to re-unite, the big concert the funeral rites turned to has produced an album titled Ojo Nla, in which Juju superstar, King Sunny Ade, fuji creator, Sikiru Ayinde Barrister, Wasiu Ayinde, Adewale Ayuba, Salawa Abeni, Sewele singer, Iya Laduke, Wasiu Alabi Pasuma and a host of others play very interesting roles. The dust of Ojo Nla had yet to settle when Pasuma clocked 40, thus provoking another all-star concert that has also enriched the local music scene with an album. But all of such events seem to have been preparing the ground for what promises to be a father-of-all concerts expected to hold anytime from now. Yesterday (February 9), Barrister clocked 60, and most players in the industry will agree that this is not just a significant attainment in the life of the Ibadan-born, highly talented maestro, but also a landmark in the world of fuji. The reason is that whatever height fuji has attained today, it is not possible to separate its history from that of Barrister. Barrister enlisted in the army and trained as a stenographer. He even had a taste of the fire in the Nigeria's 30-month civil war, where, he sustained an injury. But before then, he is said to have begun his musical career at age 10, when he identified with were music, the form of the religious chant employed by young Islamic faithful to entertain and wake up adherents of Islamic faith during the Ramadan period. While the late Dauda Epo Akara standardised Were, Barrister evolved and developed fuji out of the old variant. In 1966, he released his first album, E je ka Gbo Tolorun, the religious and moral tone of which signposted the moralist agenda that many of the musician's albums would later advance. About 42 years after, the artiste that is variously referred to as Alhaji Agba, Barry Wonder, Mr. Fuji and Fuji Exponent, has enriched the scene with scores of albums that help to define the African world of art and entertainment. Built on constantly reinforced instrumentation, some of Mr. Fuji's classics include Oke Agba, E sinmi Rascality, Barry at 40, Suuru, Fuji Garbage Series One and Two, Dugbedugbe and New Dimension. His exploits, which have made him one of the richest musicians from Nigeria, have seen him make impact not only in Africa, but also in the US, Europe and other parts of the world. His success – and that of his contemporary, Kollington Ayinla – paved the way for the coming on board of other fuji crooners such as Wasiu Ayinde, Adewale Ayuba, Rasheed Ayinde, Sefiu Alao, Akande Obesere, Osupa, Pasuma, Remi Aluko, Sunny T. Adesokan - an Igbo man - and Safejo Amama, all of who have also recorded success in various grades. But like many other folks that have come of age, Barrister's life has not been without trials. Most of the challenges have, however, become subjects of some of his albums. In the 1980s, a woman once appeared in his house and claimed that she was the one who gave birth to him, and not Alhaja Odere Sifawu, the musician's real mother who died a few years ago. The puzzle is the subject of Okiki, the album Barrister released afterwards. In the same decade, the late Kamoru Ayansola, his celebrated lead talking drummer, defect and joined another fuji musician, Iyanda Sawaba. Not a few people feared that the development would affect the fortune of Barrister's music because of Ayansola's mastery of the talking drum and his influence on the band members. They feared that it had become a football team without a good mid fielder – perhaps, like the Super Eagles that Nigeria took to the African Cup of Nations competition being concluded in Ghana today. But Barrister not only survived the coup, his band came back stronger, with his other instrumentalists getting played up. A Lagos-based music promoter, Chief Adeleke Akanji, noted that it was this kind of commitment that made Barrister an icon of music. Fuji musicians do not depend on proceeds from album sales alone. They are enriched by gifts and money sprayed on them by fans. Barrister has had a good number of influential patrons. During the Second Republic, several of such happened to be in the National Party of Nigeria. Among them were the late Chiefs MKO Abiola, Adisa Akinloye and Peoples Democratic Party's controversial chieftain, Alhaji Lamidi Adedibu. As a result of the patrons' political inclination, Barrister's patronage then seemed to have assumed some partisan character. Hence, he was 'accused' of being a member of the NPN, to the extent that he was said to have got a contract from the party. Of course, Alhaji Agba also lost to death some of his great patrons such as Abiola and the celebrity steel merchants, Alhaji Tejumola Onirin and Basiru Bamgbola. At one time or the other, the fuji 'creator' was also locked in fierce competition with one other Yoruba artiste or the other. Competitions or even rivalry is supposed to be part of life; something that should bring out the best in a professional. But when it is too sharp or dirty, it becomes a threat. 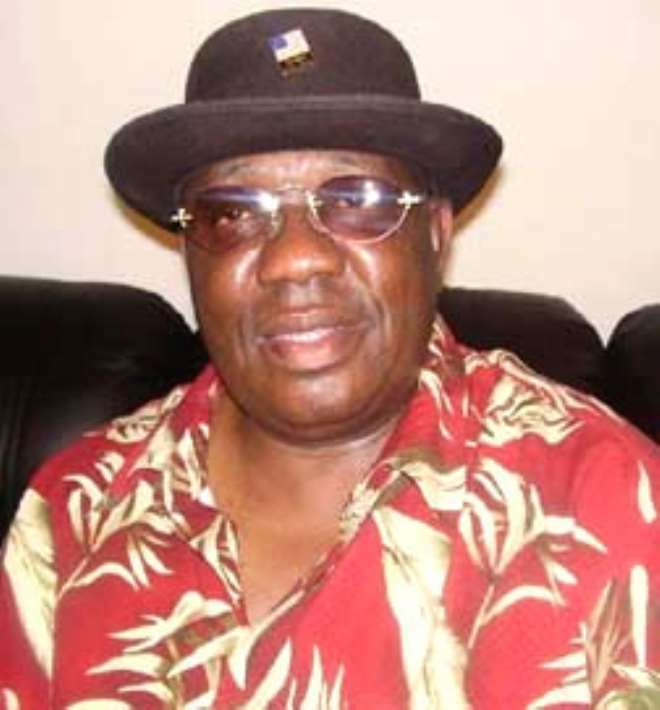 At a time, the late apala musician, Ayinla Omowura, did artistically draw a battle line between himself and Barrister. In an album, the Abeokuta-born Omowura who, many believe, had overwhelming powers, challenged Barrister on a rumour making the rounds that the latter's songs had been plagiarised . “Ayinde, ki o ma se je n gbo/ Pe won ji e lorin lo/ Ko je je bee oro apara ni…, Omowura had sung, warning Barrister that it was out of order for him to claim that he had been musically short-changed. Incidentally, however, before a possible reaction could come from the 'accused', Omowura was murdered, thus unleashing intense mourning on the Nigerian entertainment scene. As expected in a highly superstitious community as the Yoruba, there were insinuations that Barrister could have a hand in Omowura's death – despite the fact that the chap that hit the deceased with a broken bottle was known and apprehended, and despite the fact that Barrister had nothing to do with the squabble that sparkled the lethal quarrel. The fuji musician's response, however, came in a track in Oke Agba, where he not only pleads his innocence – and even curses the murderer – but also celebrates Omowura elaborately. Also around the time, Kennery singer, Orlando Owoh, made some remarks believed to be derogatory about fuji, with some believing that Mr. Fuji was the object of the arrow. Yet the 'fight' that fuji fans will remember most is the prolonged one that ensued between Barrister and his 'friend' and co-fuji legend, Kollington Ayinla. No one can actually tell the source of the tango. But it lasted for decades, and pundits can only hope that the truce called late last year will last forever, because the history of fuji is replete with shattered truces and broken no-more-fight promises. In the 80s, for instance, the likes of Chief Ebenezer Obey and a former Deputy Governor of Lagos State, Alhaji Rafiu afojo, were part of one of the peace parleys that succeeded only temporarily. Yet some people will argue that the Barrister/Kollington rivalry is a blessing to fuji. While noting that it contributed to bringing out the best in each, the way each of the musicians 'abuses' each other in succeeding albums can be very amusing. When Barrister celebrated some of the rumours that had been carried about him in Okiki, saying that only successful men enjoy that kind of attention, Kollington had, in his released later, likened his rival to Ijapa the tortoise, which is always at the centre of shady deals tales. Also, when Barrister turned into beautiful music how one of his band members, Tunde Balenga, got missing during one of his musical tours of the US – singing, Lojo' ta wa Balenga mi titi… - Kollington sang in his the album detailing his own experience on his musical trip to the same country that none of his own boys went astray. The metaphors that the rivalry generated in other areas are even richer. For instance, Barrister enjoys praising himself – as he does others – in his works. He adores chanting his Irenimogun lineage praise, that of his home town as well as his personal ones. Now, in one of his songs, he salutes himself as werepe, the cow itch plant that no one dares handle with bare palms: Agbajelola o mo ti di werepe/ Werepe ni mi mi o nibikan aa gba mu' Gbogbo ara lo fi n jo ni waiwai. But you could trust his rival friend, Kollington, that he would sing his own version of the werepe idiom. He sings in one of his albums, Kolawole o, mo ti d'epo pupa/ Ekun oko werepe – meaning that he has become palm oil, the cure for all the assaults from the cow itch plant. It is these and other intrigues that strengthened Barrister's person and music. Yet, rivalry apart, the Barry Wonder has continued to distinguish himself as an artist with great endowments. In his 50-year musical career, he has touched on virtually all areas of life, often with a prophetic and philosophical depth and passion that are comparable to that of Chief Ebenezer Obey and even the late Fela Anikulapo Kuti. Apart from being an entertainer – a composer, singer, tongue twister and an impressive dancer – he is a great teacher. His music has a lot to teach on the significance of mothers, good character, patience, love, the child and good governance, among others. Compared to many of his contemporaries, his deep knowledge of Yoruba language – its proverbs, idioms and poetry – as well as his knowledge of the Arabic language make his music an inspiring voyage into what a cultured artist should be. Some scholars, including Mudasir Alabi, whose Master's thesis centres on the poetic qualities of his music, have put some of these elements in perspectives. When the drums thus begin to boom for the exponent, the dust that will be raised is far from being in celebration of vanity. Among other honours, Barrister is a Member of the Federal Republic of Nigeria and the Music Legend of the Commonwealth.